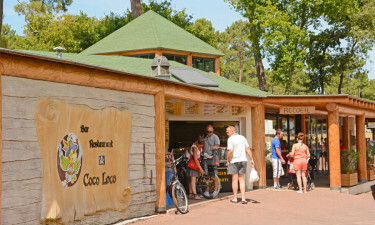 Nature lovers are sure to be in their element when they choose to stay in a spacious and modern mobile home at Camping L'Orée du Bois. 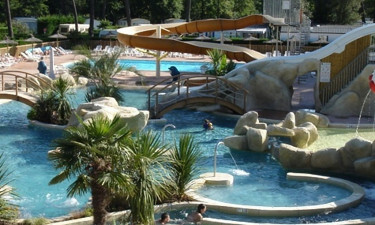 This luxury camping site can be found in the la Palmyre area of France, which is famous for its intense natural beauty. Those who enjoy cycling will be able to get fit and have fun by following a number of special cycling trails through the forest, while several stunning sandy beaches are located just a short drive away. Contact the Lux-Camp representatives to learn more. Why Should I Camp at Camping L'Orée du Bois? Guests can get together and share their camping holiday experiences in the evening by enjoying a communal barbecue, while lovers of luxury camping will also be able to enjoy some of the best French dishes available at the on-site restaurant, which has a pretty outdoor terrace to unwind on while sipping a glass or two of locally produced wine and watching the sun set. Fresh bread and other groceries can be purchased at the on-site shop. 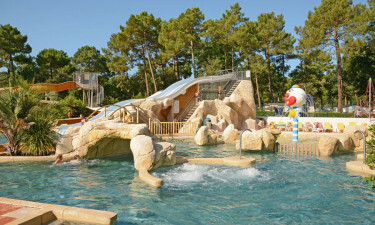 A huge, heated water park can be found in the heart of Camping L'Orée du Bois and features a man-made river to float around in as well as separate swimming pools, water slides and bridges. Parents are also sure to enjoy unwinding in the on-site Lux-Camp wellness centre, and indulging in pampering treatments while their children are taken care of by the dedicated staff at the kids’ club.